HERE’S a pasta recipe that ticks a couple of important boxes for me – 1) it’s a hearty Italian meal that’s full of flavour and vibrant colours and 2) it’s a healthy, home-made plateful that will not load you with calories and fat. 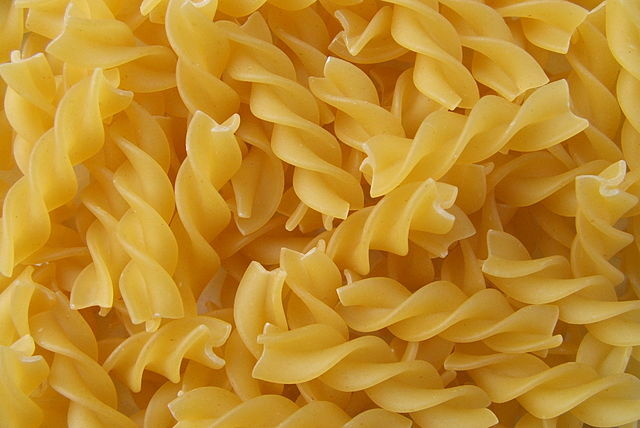 I have suggested pasta twists (fusilli) for this recipe but, in all honesty, you can use any pasta you like. But pasta twists with chicken and broccoli gets the thumbs-up every time it is served in the Boyes household. This recipe will comfortably serve four. If for two, just halve the quantities. Put the pasta in a large pot of boiling, salted water and cook according to instructions. It should take about 10 minutes. While it is bubbling away, you’ll have time to cook the other part of this meal (assuming you have prepared all the ingredients). Add half the olive oil to a sauté or frying pan and fry the slices of chicken until thoroughly cooked (about 5 minutes). Season with salt and pepper, then remove. Pour the remainder of the oil to the pan along with the pepper flakes and garlic. Cook gently for 3-4 minutes, then add the broccoli and cook for a further 3-4minutes. Pour in the chicken stock and bring it to a boil. Add the sun-dried tomatoes and chicken and cook for another 4 minutes or until broccoli is done to your preference. Add the basil leaves. Now drain your pasta and return it to the pot. Pour the chicken and broccoli sauce over the pasta, mix together and top it all off with a sizeable grating of parmesan cheese. Serve sprinkled with freshly ground black pepper in pre-heated bowls or plates.